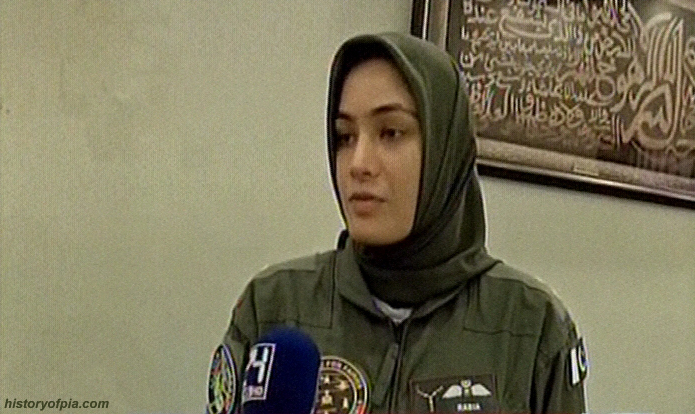 Flying Officer Rabia is one of the first two female pilots of search and rescue (SAR) helicopters in Pakistan Air Force (PAF), according to interview on 24 News HD channel. Currently she's flying Alouette III based at PAF Base Peshawar and in future will fly AgustaWestland AW139. Female pilots for the fixed-wing aircraft were inducted in PAF for the first time in 2006.